Cedarfire-"Don't Let Distractions Crush Your Dreams"
I recently had lunch with a friend, Mary, who makes jewelry. Her work is in stores and online, and has begun to get popular. But, as with many creative entrepreneurs, she's having trouble with loved ones who don't take her business seriously. She struggles with balancing her work with the expectations of her extended family. Because she doesn’t have a 9 to 5 job, her family assumes that she'll be available whenever they want. They don't respect her work time because she hasn't insisted that they do. She's put their desires above her interests. Her message to them and to her subconscious is that her work and priorities aren't that important. As a result, she's trained her subconscious and the Law of Attraction to not only accept the interruption to her work, but to attract other interference. 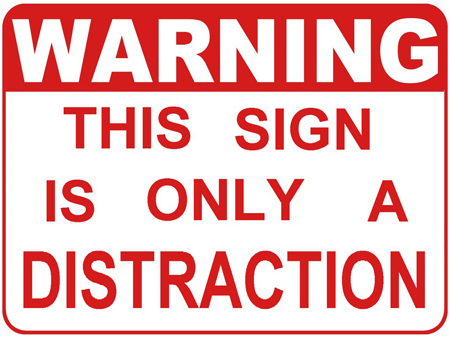 Have you ever noticed that as you're expanding and changing, you have a lot more distractions? They seem to pop up out of nowhere, and keep getting in the way of what you want to accomplish. If you succumb to them, theyll sabotage your priorities. But it's a natural part of the change process. The Universe isn't testing you. It's your subconscious testing you to see if you really are dedicated to your dream. The subconscious is also trying to keep you in your comfort zone. I was amazed at how many of my smoking cessation hypnotherapy clients would experience unexpected stressful situations when they quit smoking. It was their subconscious throwing up road blocks to their goal. The severity of their problems was in direct proportion to the amount of ambivalence they had to becoming an ex-smoker. If they weren't committed to quitting, they backslid and gave up. The distraction was an excuse for them to continue smoking. Sometimes the subconscious will know you really don't want to face a task, and your concentration is disturbed. For instance, you need to get the budget done. But you receive a phone call about an insignificant matter that pulls you away from it. You could have let the call go to voicemail, but welcomed the interuption. That's the subconscious trying to help you avoid what it knows you don’t want to do. However, if you push the distractions aside and persist with your priorities, there will be fewer disturbances. Your subconscious will get more comfortable and will help you move towards your goal. Your priorities are important. The Universe and your subconscious will support you as you support yourself. When you respect your own priorities above what anyone else wants from you, you're instructing your subconscious to respect your interests, too. Mary decided to make appointments with herself to work, and keep them no matter what. She wanted to make sure nothing got in the way of that time with her jewelry. This will convince her subconscious that she's committed to her work, and her inner mind will start to support her by reducing distractions. When she recognizes the validity of her business, she'll be able to stand up for her priorities. As a result, she'll create boundaries and insist that others recognize them. Is there some goal or dream you want? If so, set it as a priority. Work towards your goal and don't let anything get in the way. You can attend to other people's wishes after you've satisfied your priorities. But your priorities come first. How can you respect your priorities and stand up for them? When you figure that out, and act on it, your path to achieving your dream will get easier. As a speaker, success empowerment coach and hypnotherapist, Linda-Ann Stewart empowers business women and entrepreneurs to break through their inner barriers and create the life they want with more success and abundance. For a copy of her free ebook, "31 Affirmations for Daily Inspiration," visit Cedarfire.com/31aff-ebook.shtml.